Eucerin Smoothing Repair Lotion ~ 4 Winners! | More Crunchy Beach Mama! 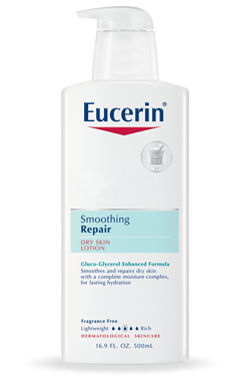 Eucerin Smoothing Repair Lotion ~ 4 Winners! Do you know how I know that winter is here? My skin becomes dry. yuck! 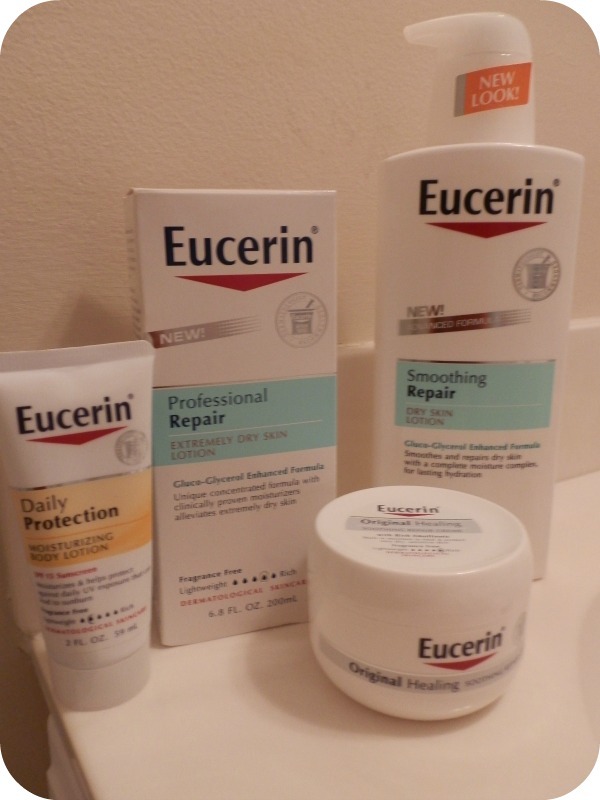 Eucerin is known for being one of the top companies that make the best lotions for rough skin. I was spoiled and sent a good amount of product to try! This will definitely get us through the winter. Their Smoothing Repair – the large one there – has a great pump to make it easy. Comes out nice and smooth and feels oh so good! This unique, fast absorbing lotion combines Ceramide-3, skin’s own moisturizers, and Gluco-Glycerol to improve the condition of skin and fight dryness at the source. The other day P’Diddy has a chapped cheek. That’s what happens with running noses and little hands who wipe. I put some of the Original Healing Creme, which is nice and thick, on it before bed and he woke up as good as new. Their is also that handy Daily Protection Moisturizing Body Lotion that comes in a great size for your purse or diaper bag. It contains 15spf for those sunny days. I think Eucerin has you covered in skin care needs! Here is a $1 off Coupon any Eucerin product. I received this products for review and all opinions are my own. This giveaway will end on December 26, 2012 at midnight EST. Winners will be drawn via rafflecopter. Once a winner is drawn I will contact them and they will have 48 hours to reply before I draw a new winner. Giveaway is open to anyone in the US and you must be 18 years of age or older. Giveaway not affiliated with Facebook & I release them of liability. Winner will be posted in the rafflecopter widget. I loved the giveaway! Thanks. Yay! Thank you! Looking forward to using this! Thank you so much! Received my Eucerin and started using it! !